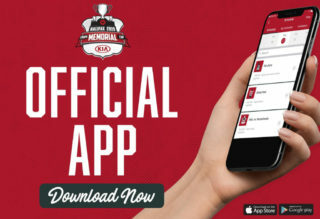 Regina, Saskatchewan – The 2018 Mastercard Memorial Cup Host Organizing Committee, together with the Canadian Hockey League, is pleased to announce that ticket packages for the 100th anniversary Mastercard Memorial Cup championship will be made available for sale to the general public, January 30, 2018. Fans who registered for the commitment list have received priority access to available seating and will receive a communication from the ticket office confirming their purchase. While there are still excellent seating options available, interested fans should act quickly to ensure they get access to the remaining seats. Ticket packages for the ten-day event will include eight guaranteed games (plus a tie-breaker if needed). 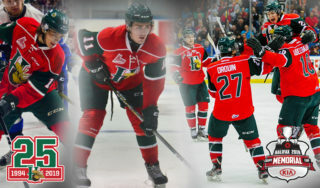 Festival-level seating is now fully sold out, but there are still $750.00 Centennial-level packages available. A four-installment payment plan will be available to all ticket package purchasers. 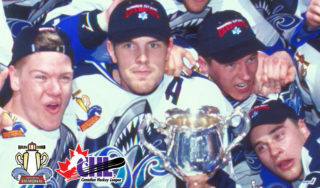 There will be numerous additional entertainment opportunities for fans to enjoy at this unique hockey event. 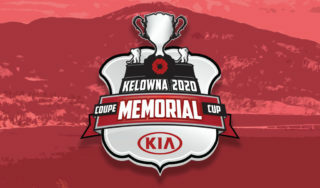 The Centennial Celebration Zone, located at the EventPlex at Evraz Place, will be open daily in conjunction with Mastercard Memorial Cup game times and will feature full food and beverage services. Daily entertainment will feature bands such as Loverboy, Emerald City and Emerson Drive, with more acts and venues to be announced in the coming weeks. Ticket package buyers can purchase 10-day Celebration Zone passes at the discounted price of $49. 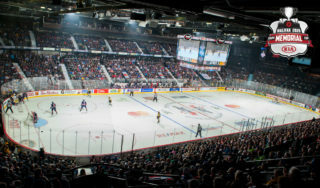 The Mastercard Memorial Cup Host Committee is continuing to respond to strong demand for ticket packages and is urging hockey fans to act quickly to avoid disappointment. 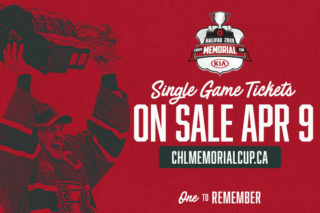 Fans planning to attend this 100th anniversary championship can purchase their packages by visiting mastercardmemorialcup.ca, clicking on ‘Tickets’ and following the purchase instructions.